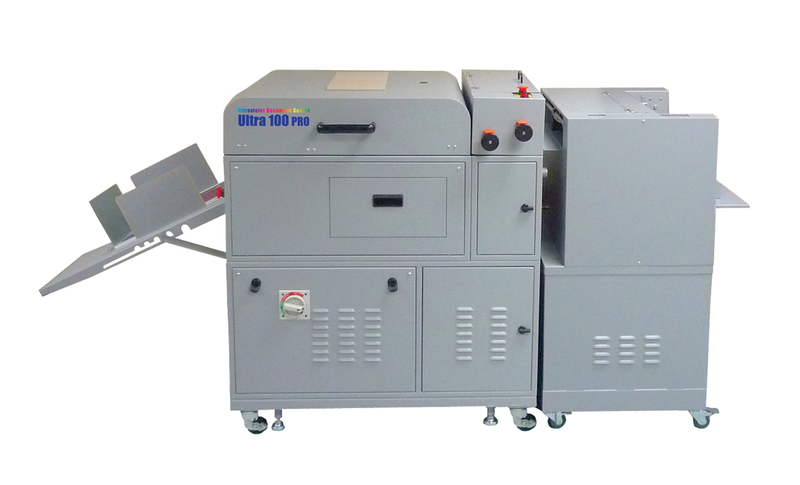 Processing 13″ paper widths up to 33 feet per minute, the Ultra 100 PRO UV Coater provides a high featured UV coating machine for short volume demands. Similar to the Ultra 200A model, the Ultra 100 PRO enhances the value and vibrancy of printed pieces and offers unique coating capabilities. The applicator and impression rollers engage only at the start and end of the sheet, ensuring a smear-free, clean finish on both sides.